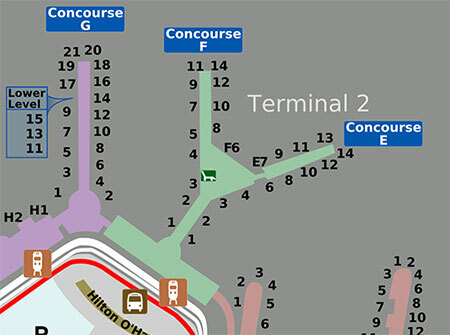 Chicago O'Hare Airport's layout is a convenient one. 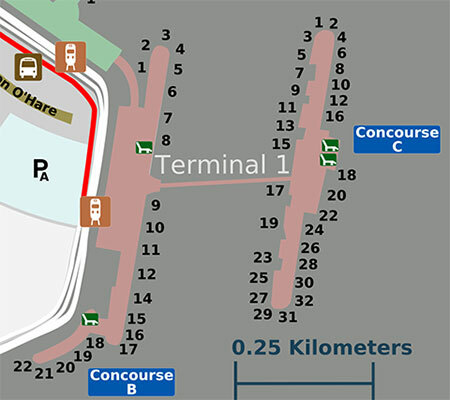 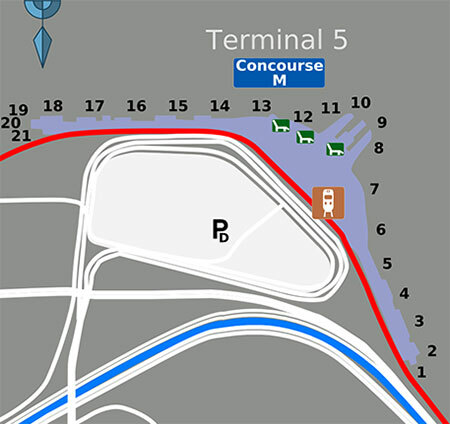 It includes four different terminals, the last of these is actually called Terminal 5 (there is no Terminal 4), and is situated at a greater distance from the other terminals. 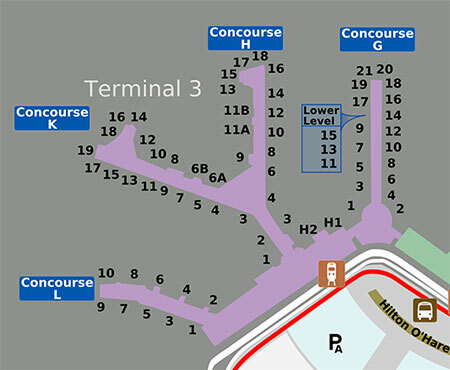 Terminal 5 is also the international terminal. 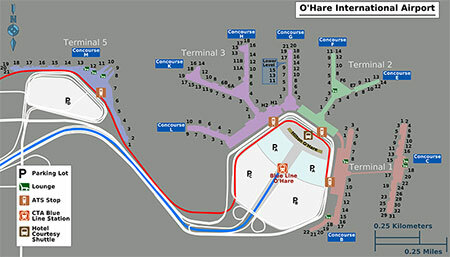 O'Hare airport has parking lots near each of the terminals, and also some parking lots that are further away and meant for long-term parking only. 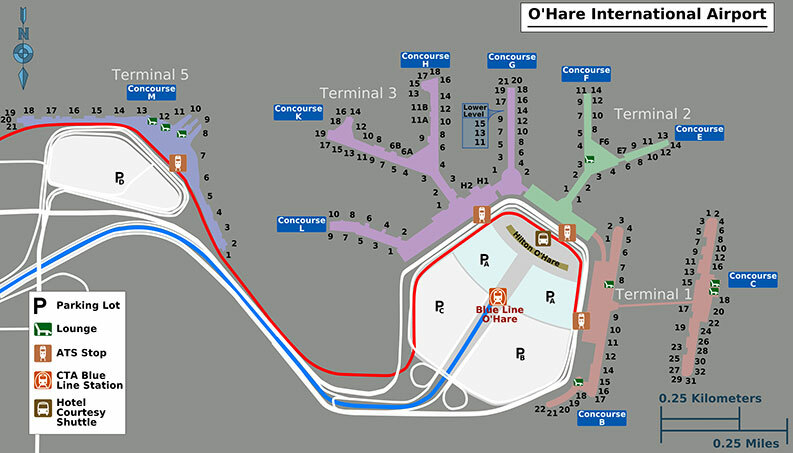 Click to zoom in on the images below to see the layouts for each of the O'Hare terminals.